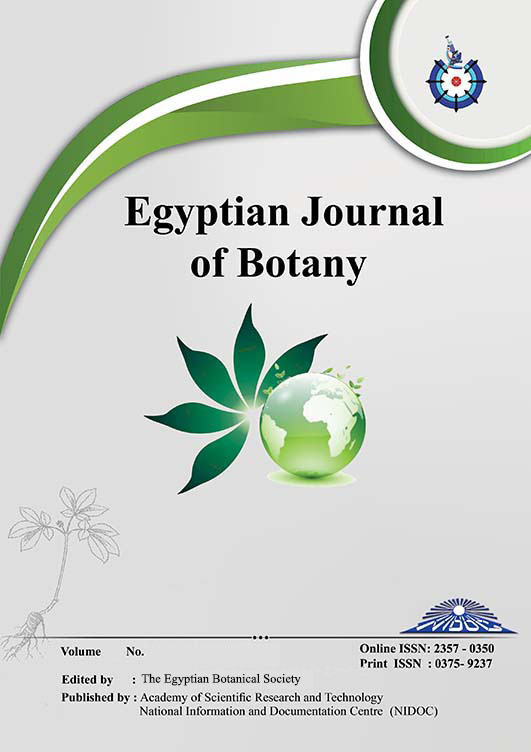 T HE EFFECT of CuSO4 stress on some growth parameters and some metabolites in 14-day-old Vicia faba seedlings was studied. Irrigation with 150 mM CuSO4 resulted in remarkable reduction in root length, shoot height, fresh and dry weights of root and shoot, leaf area and photosynthetic pigments (Chl a, Chl b and carotenoids), while it raised Chl a/b ratio. Total soluble carbohydrates and protein contents were significantly depleted under Cu treatment. The ameliorative role of seed priming with different concentrations of yeast extract (25, 50, or 100 %), IAA (0.1, 0.3, 0.5 mM), or the green-synthesized Nano zinc oxide with average size 61 (nm) prepared from leaf extract of Coriandrum sativum (10, 50, 100 ppm) for different periods (6 and10h for yeast and IAA, 3 and 6h for Nano ZnO were studied. Results revealed that seed priming with 50% yeast or 0.1 mM IAA for 10h showed a remarkable increase in the measured growth criteria, chla, chl b, soluble carbohydrates and proteins but diminished chl a/b ratio compared with the Cu stress treatment. Seed priming with 100 ppm Nano ZnO for 6 h exhibited the most effective treatment in mitigating the harmful effects of Cu stress on growth criteria, Chla, Chl b, soluble carbohydrates and proteins.